What is an Amortization Calculator? 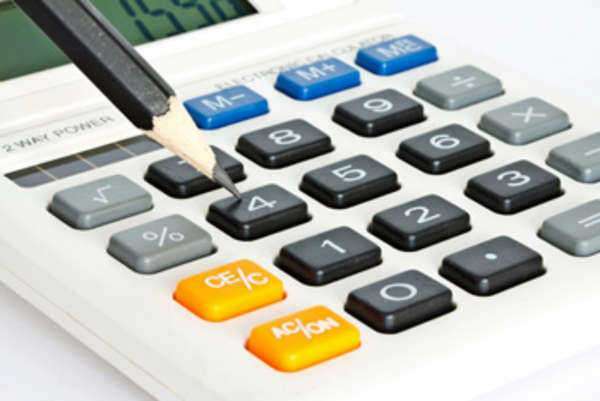 An amortization calculator is a fundamental resource used by individuals or entities that are indebted to a mortgage company or financial institution. The amortization calculator will display (subsequent to the satisfaction of a few variables) the remaining payments left on their particular loan or mortgage. By revealing this information, the individual or entity who took out the loan can observe the expected payments until maturity and thus develop an appropriate budget to ensure that they meet such obligations. An amortization calculator is a free resource offered by the majority of lending institutions in the United States. The resource is free and easy to use and requires only the basic information attached to the particular loan or mortgage. The loans associated with an amortization schedule typically possess a maturity date of 20-30 years. As a result of this long-term nature, the payments made towards both the principle and the interest would be difficult to evaluate without the inclusion of an amortization calculator. In addition to revealing the expected monthly or periodic payments, the amortization calculator will reveal the percentage and total amount of the payments as they coordinate to paying off the interest and principal of the loan. Following the input of the required information, the amortization calculator will reveal the expected payments to maturity in an easy to follow and easy to understand table. The table, which effectively is known as the amortization table, will deliver each month’s payment and reveal how each payment is used to satisfy the interest and principal obligations of the loan. What information is needed in an Amortization Calculator? To view the expected payments of a loan or a mortgage and to understand how each payment affects the remaining principle and interest of the loan an individual or entity must satisfy the following components of the amortization calculator: The principal balance of the loan in question, the rate of interest attached to the loan, the maturity schedule of the loan (the loan term), the starting month and starting year that the loan was issued. In addition to this generic information, some amortization calculators will offer the user optional information, such as: the monthly additional principal prepayment amount, the one-time prepayment amount, and the annual principal prepayment amount of the loan. When the above information is entered into the calculator (amortization calculators are typically offered on lending websites) the resource will construct a table that is unique to the user based on the loan information given.